Billy is an outer, the lowest of the low. No respect from anyone. When his mother sends him out to gather weemer mushrooms for a recipe she’s cooking up, he has no idea just how much his life will be changing. Special thanks Abigail Hilton and Debby Dugger for lending her voice to today’s story. Music was by Josh Woodward and Dano and Omnipresence by Dereleech. 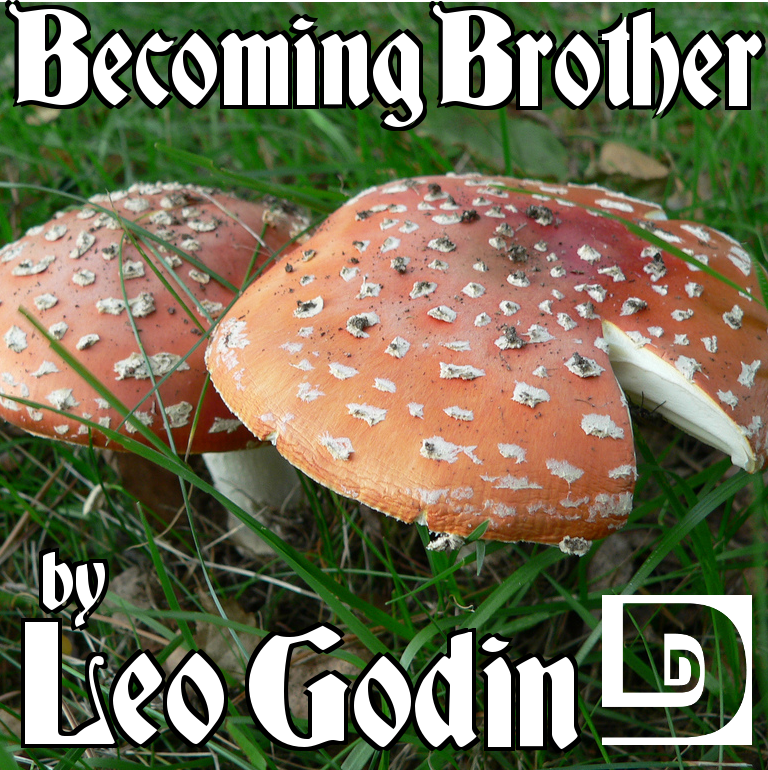 This entry was posted on May 4, 2011 at 2:36 am and is filed under Fantasy, Leo Godin, Short Story. You can follow any responses to this entry through the RSS 2.0 feed. You can skip to the end and leave a response. Pinging is currently not allowed. Doh! Forgot to credit my wife, Debby Dugger, as also appearing! Oops. Got it now. Thanks for pointing that out. This was a fun little story. I didn’t get a feeling that Billy had done this before, but just accepted this was the way of things because his mother had instructed him that way. Great job, Clay. I like how the voices melded as the women were switching bodies. I haven’t picked up the new FF title yet. I’d really like to see the team with Spider-man in there, but the white suits seem a bit weird to me. I didn’t really enjoy this story too much. I felt like there were TOO many unanswered questions, and that if it was going to be told in a Flash format, then more edits could’ve been made to tighten it up even further. The POV shifts didn’t help either. Damn, there weren’t any line breaks in that block of binary. In order to properly read this, R080T will have to remove the line breaks. I’m sure he can handle that. Although Bigg seemed to have difficulty leading the conversation, I really enjoyed this episode’s afterchat. I only wish the show had been longer. Not since that two part show have I so looked forward to the next episode! The OUTfields are the source of it all, dude. The Outfields cannot be surrounded or cut off for they are all-encompassing. The Outfield can be expressed in the collective singular similar to The Borg. Is Big really off the show? I was hoping that was all just a joke… Ugh. Sorry I was meaning Rish in that last one. Good thing this is anonymous! Don’t lose hope. If he keeps it up with the two-dimensional body part jokes, we might just kick him out of here and give him back. I guess you’ll just have to tune in next week and see what happens in the adventurous saga of THE DUNESTEEF AUDIO FICTION MAGAZINE!!!!!! All the star wipes in the world can’t patch my broken heart… But I do enjoy a sweet star wipe and fade to black. Big, I don’t mean to pick nits but you misused the term “begs the question” during the discussion. It doesn’t mean to raise a question but rather to assume the truth of an unproven premise. I hate that stupid phrase. I’ve never quite known what it means, and every explanation that I’ve heard makes no sense at all. I’m not even sure why I used it to begin with. I think the moment I uttered it, I knew I had used it wrong, because…well, it’s impossible to use right. So I swear to you all that I will never, ever use that phrase again in my whole life. I do hope this is a joke, but the after chat is a little flat without both of them. This is the only podcast that if I’m not really getting into the story, I’ll skip forward just to listen to the banter. The fly story was like that; got half way through, just decided that I really didn’t want to hear how it ended, and skipped forward to the talking. Scrap the robot, get Rish back. I disagree about the begging the question thing. I use it all the time the way Bigg did – it’s become a widely accepted ironic misuse. And I’m English, so I must be right.